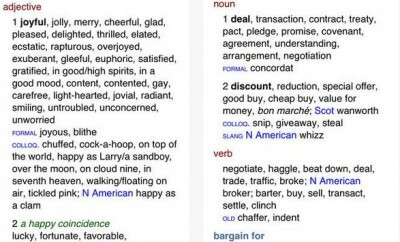 Anyone who writes for a living or has taken English courses in the past has had to deal with a dictionary or thesaurus. The days of using paper books to look up words are numbered. Most people prefer looking up words on their computers or mobile devices. Thesaurus Rex by Dictionary.com is a handy app that has everything you need to improve your vocabulary and learn synonyms and antonyms. Thesaurus Rex has a beautiful user interface. 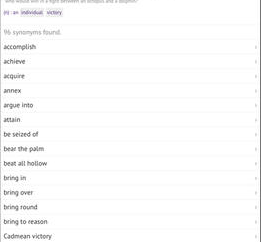 It brings you over 500k synonyms and antonyms from Thesaurus.com. 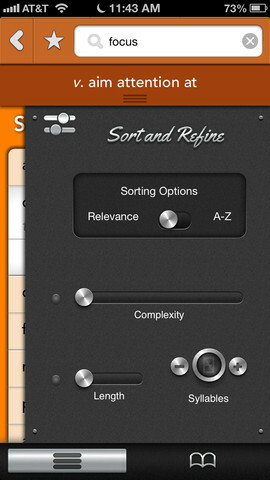 Users can refine and sort through the words using 5 different filters. 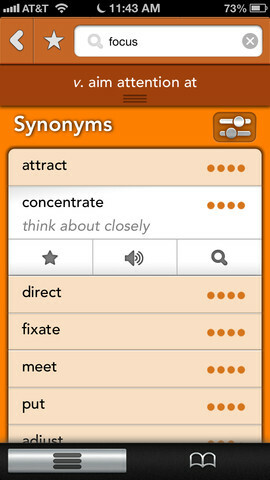 The app provides you with recommendations for the best match words. You can shorten and lengthen your words. Best of all, the content is available to you for offline use. Audio pronunciation and origin information are offered too. Thesaurus Rex is a universal application. It works fine on your iPhone and iPad. It is fast and gives you access to the content offline. 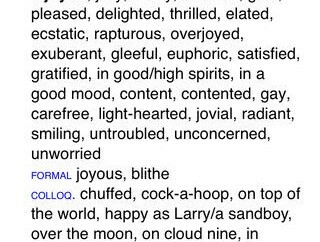 A pretty nifty tool for the students of the English language.